Mr. Svatý in his hemp field. This post was originally published on HempToday. A Czech hemp farmer has been given 2 years probation in lieu of being sentenced to 15 months for possessing hemp above the legal THC limit. The legal case, which wrapped up last month, dragged on for almost two and a half years and has left many in the Czech hemp community frustrated and angry at the outcome. In 2016, Leopold Svatý, an industry veteran with two decades of experience, was attending the first-ever Konopex trade fair in Ostrava. Shortly after the event commenced local policemen arrived and told participants to hide any flowers they had on display. Svatý was found to be in possession of four kilograms of hemp which was immediately taken from him despite having the relevant certificates confirming its legality. On-site testing confirmed the presence of THC (as it would in any hemp flower) but not the amount found, which was later called into dispute by Svatý. The hemp was subsequently sent for testing in a laboratory which showed levels of 0.6%, which is 0.3% over the legal limit. Concerns over the methodology used in the laboratory to test the hemp have been raised with some fearing the correct standards weren’t followed. Lawyers for Svatý claimed a number of his rights had been infringed during the course of proceedings. They filed a number of complaints against the police, including on the conduct of their searches at the fair and questioning the authorization of the seizure being confirmed by telephone. However, his complaints were rejected. Meanwhile, lawyers for the state countered that Svatý was using the hemp for narcotic purposes. The increase in THC levels was blamed on the hot weather that occurred that summer and which realistically can occur most years. In Italy, a similar problem occurred with the local cultivar Carmagnola, which was regularly found to have THC levels of 0.5%. In response, the Italian government increased the legal THC levels to 0.6%. Coincidentally, Carmagnola was the variety taken from Svatý. The lengthy legal proceedings were delayed on a number of occasions which added to everyone’s frustrations. During the case, Svatý provided a number of expert witnesses and documents from the field of law, agriculture, and toxicology to bolster his case. All of this was ultimately to no avail and he was still given probation. 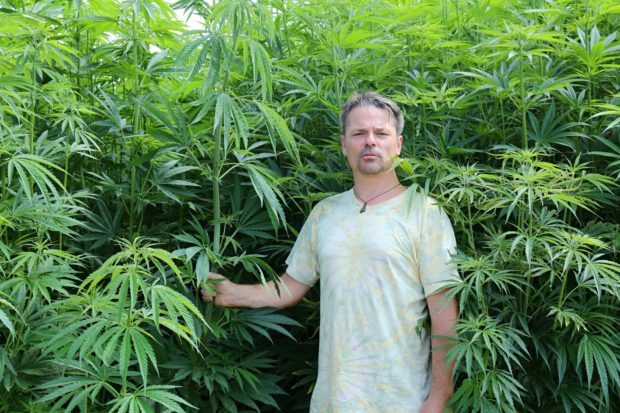 There was anger in the Czech hemp community when news of the case emerged. “I thought that it was abuse from police and that the court will surely quickly decide it’s a nonsense. But it did not happen,” Lukas Hurt, the Vice-Chair of campaign group Legalizace.cz, told HempToday. Hurt believes the sentence handed down is an outrage and shows that judges don’t understand the morphology and botany of cannabis and so can’t rule on such a case properly. “I am sure the judge is not a bad person, however, there was so much ignorance and false assumptions on her side, that I can only hope the higher court would be more sensible and would listen to expert witnesses and commons sense,” Hurt said. Hurt laments the lack of support from the activist community. “It is sad that nowadays people are activists behind computer screens, but not in reality.” However, he notes the case has brought sections of the industry closer. “So far hemp growers stand behind Mr. Svatý and from what I observed it seems the trial actually brought the industry players in Czechia together,” he said.